SUPERB VALUE - YOUR CONTRIBUTION TO THE CWHT REPRESENTS EXCELLENT VALUE. We do not receive any State aid nor do we fund raise. Our sole source of income is from the workers who contribute through the pension scheme. The cost of delivering health screening on busy building sites is expensive. Our nursing teams work to the highest international standards. All of our diagnostic instruments are independently tested and calibrated to ensure that your test result is as accurate as possible. Also from time to time we run campaigns such as Prostate screening and Colon Cancer screening (Feacal Occult Blood Tests). The Trust is a registered charity and a non profit organisation. Workers who receive health screening on a 2-3 year rotation are getting great value for money. We have numerous testimonials from individuals who, following a negative test result, attended their GPs for treatment, and are now successfully managing their particular conditions. This is the real value of health screening. In an ideal world health monitoring would be an integral part of the nation’s health service. Alas it is not. 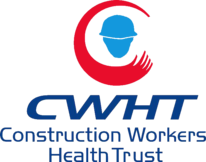 Disclaimer: This is a free referral service provided by the CWHT and although every effort has been made to ensure that all instruments are calibrated on a daily basis, and tested by independent external auditors, occasionally mis readings occur. When this happens we make every effort to re-test the individual or refer him/her to a suitable medical practitioner for re-testing free of charge.